An early 19th-century antebellum mansion set in 26 acres of manicured gardens, Monmouth Historic Inn & Gardens is a National Historic Landmark in Natchez, Mississippi. Reflecting all that is charming about the South, expect gracious hospitality, luxury lodging, excellent cuisine, historic tours of the house, and a lovingly restored garden. With an ambiance reminiscent of a bygone age, the rooms and suites are as perfect as a picture for your stay in Natchez. Available either in the main house or in any of the seven outbuildings, rooms have period furnishings and/or antebellum-era reproductions. All guest rooms and suites have private baths, and some include a spa tub and a fireplace. Wander around the meticulously nurtured gardens amidst blooming magnolias, roses, azaleas and Monmouth’s signature collection of angel statuary, accompanied by the gentle humming of cicadas. 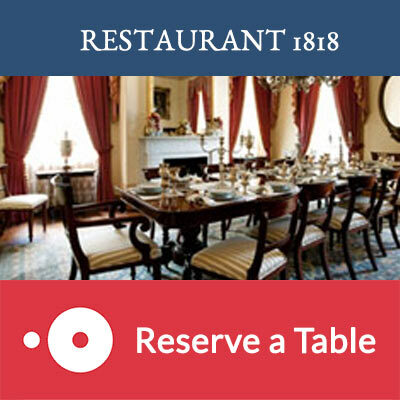 Then enjoy mint juleps or a cocktail in the Quitman Study or Lounge, with complimentary hors d’oeuvres, followed by dinner in the award winning Restaurant 1818 inside the antebellum home. 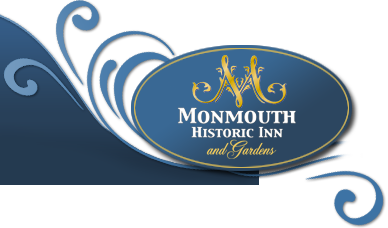 Nancy and Warren Reuther are the current owners of Monmouth Historic Inn & Gardens. With extensive experience in the hotel and tourism industry, they continue to make sure every modern comfort has been provided in the 30 elegantly appointed spacious rooms and suites, yet carefully integrated as not to spoil the historic architectural virtue. 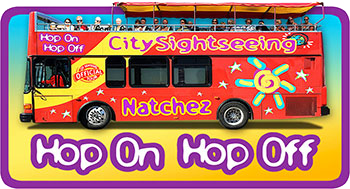 Click here to find out more about our Specials!